Po Sineng is a Year 2 Accounting student living with her parents in an old dilapidated building where many families live together in Kampong Cham District. She had a dream to be a pharmacist but had to give this up because her parents cannot support her education in Phnom Penh where studying a science subject is very expensive. Fortunately, she was awarded a scholarship from KAPE that helped her to go to university in Kampong Cham, which is close to her house. 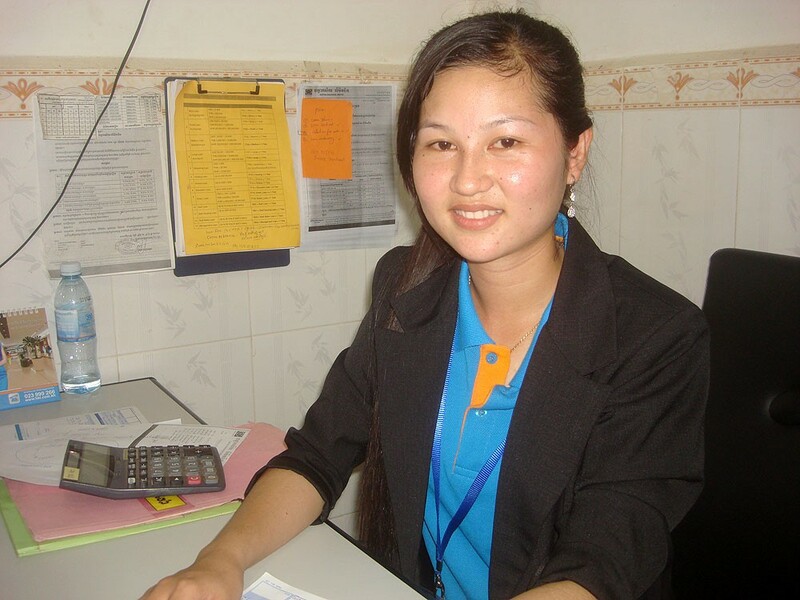 She is now in the final year of her degree program and is working as an accountant at Hatha Kasekor Micro-finance Institution at Steung Trang District. Here she is able to earn enough to help support her younger brother who is now in grade 12 now to continue his education. “Working there I am responsible for savings, providing loans, recording all transactions, checking the tellers’ daily work and producing the financial report to head office,” said Sineng. She is now also strong in Public Speaking as she has always volunteered for such activities such as being a leader of group assignments, leading monthly meetings, and organizing the Accounting Club. Moreover, when she attended training or seminars, she tried to share what she had learnt and asked many questions to strengthen her knowledge and confidence.